Pope's Creek Ranch closed in 2017. 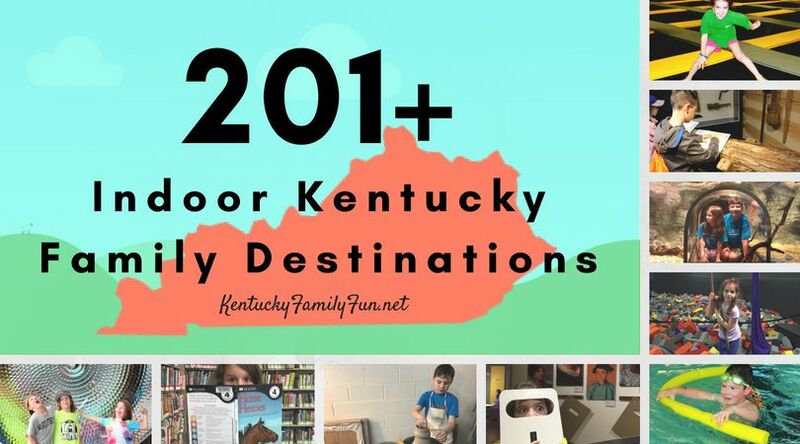 Sometimes in the quest for finding all things fun in Kentucky you stumble upon something too amazing that you can't wait another minute to share it! That is what we came across very recently. It is called Popes Creek Ranch and it is located in Lebanon. It is the perfect setting for 'glamping' (glamorous camping) or in other words the only camping that I am willing to do. Photo courtesy of "Visit Lebanon"
The tree house in the picture is called the venus and it is the largest of the tree houses with a queen size bed, a couch and tables and chairs. It is $140 per night but that price is totally worth it to me. Being able to camp in an environment that my kids would like and where I am slightly more comfortable is priceless! There are even teepee options for $75 per night. 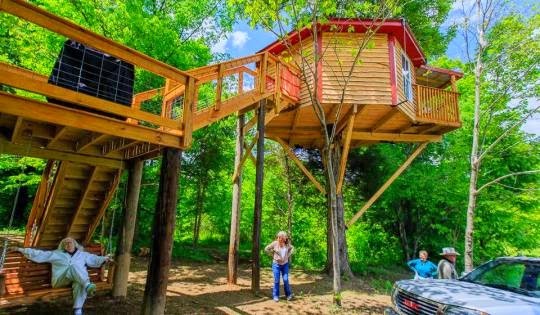 The ranch is 1,100 acres so you will have more than enough space to explore after you wake up rested from sleeping in your tree house. If you want to have a larger function like a family reunion you can rent the Burley Shed, it has a catering kitchen and a huge front porch.